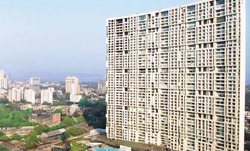 Godrej Properties is currently developing landmark projects in 12 cities across India. With projects that span across the country, the company's upcoming development covers 74 million square feet. To create landmark structures, Godrej Properties collaborates with outstanding associates and reputed names. Godrej Properties has a challenging job of keeping tenants happy while maintaining an efficient budget and face the additional complexity of managing equipment, staff, resources, contractors and tenant expectations at multiple sites. They were looking for facility management software that is scalable to meet their current and future needs in managing all their facilities. eFACiLiTY®, the web based Enterprise Facilities Management System helps Godrej Properties to track and maintain the assets in the facilities that are managed by them and enables Godrej to provide a much higher level of service to their clients. Godrej Properties chose to implement multiple eFACiLiTY® modules including Asset / Maintenance Management System, Helpdesk and Knowledgebase, Facilities Booking / Reservation System and Tenant Billing System. The eFACiLiTY® – Asset / Maintenance Management module helps in maintaining all the their properties present in these 12+ cities, manages all the assets and tracks their warranty / AMC contract details, their maintenance schedules, costs & budgets, break–down history, inventory related to the assets and their purchase orders etc.